The state-of-the-art Advanced Materials Processing Center (AMPC) has a goal to advance laser material processing science and develop technology innovations that address the critical needs of our customers. The goal of the AMPC is to advance laser material processing science and develop technology innovations that address the critical needs of our customers. 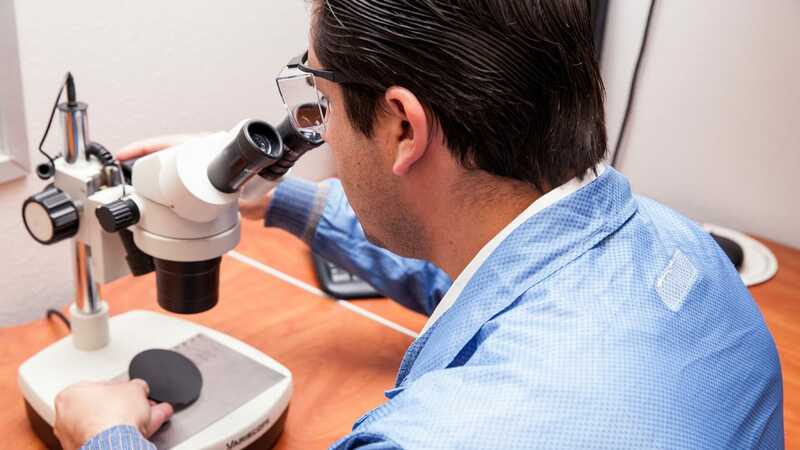 Through the AMPC, we apply years of knowledge and expertise in laser materials processing to support customers in their decision-making from configuration to deployment and beyond. All ULS customers benefit from the ongoing research and development of the AMPC as it remains a resource to them as their business may expand or change. As a result of our constant research and development of laser material processing, we are able to provide customers unique products and an extensive, ever expanding Intelligent Materials Database that is integrated into our laser system control software that is available on all ULS systems. The Intelligent Materials Database automatically calculates optimized laser material processing settings for hundreds of materials. This eliminates the need for users to develop settings through trial and error. Whether the ULS system is used as a "laser cutter", "laser engraver", "laser marker" or a combination of processes, the Intelligent Materials Database allows users to achieve professional quality results without undue effort. Check our materials database to see if the material has been tested. You can find a list of materials in the Build Your Laser System tool or within our Materials Library. If you have specific questions about a material listed in our database or your application, contact a ULS representative. Working closely with the AMPC, the ULS representative will ensure your questions are addressed. Additionally, the AMPC may also recommend next steps to make sure you have the information you need to move forward in your decision-making process. If your material is not listed, contact us to discuss further. Materials are added to our materials database on a quarterly basis. Testing of your material may already be part of our testing schedule.